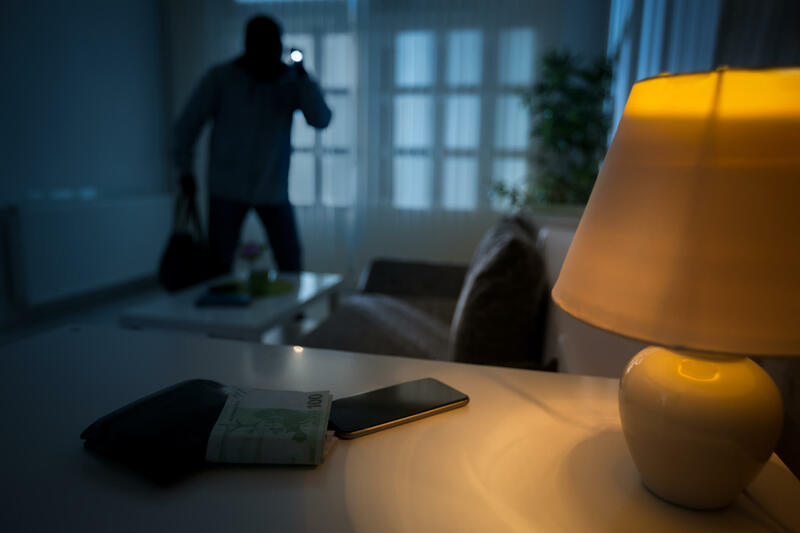 No-one wants their home to be the target of opportunistic thieves or burglars, but equally you may not wish to invest in a expensive alarm or CCTV system. Our simple, straightforward home security tips and ideas on how to improve your home security should prove to be the deterrent you need to keep your home secure. Many police forces offer advice as to how to make your home safer to deter potential burglars. This is the ideal way to identify issues that may not be immediately obvious to you, which you can then rectify. Do not leave your house keys, car keys and garage door remote controls in sight, particularly near your front door or windows. Opportunistic thieves can easily force a door or window to steal keys, before driving your car away. Do not leave ladders outside your house, as a burglar could use them to climb over a gate or fence, or through an open window. Always store them safely out of sight in your shed or garage. Even if you do not have an alarm system – or a dog – warning signs that suggest you do can be placed around the exterior of your home to act as a deterrent to potential intruders. Ensure the exterior of your home is well lit, with motion sensor security lighting and a light placed by your front door to ensure the entry to your home is not in darkness. Your interior lighting can be set with a timer to ensure it looks like your house is occupied, even if it is not. This is particularly useful if you work irregular hours or you travel a lot. You can even invest in a fake TV, with flickering lights that resemble a real television set. Overgrown trees and hedges make the ideal hiding place for potential burglars. Ensure any overgrown foliage is regularly trimmed back. Check how secure your front and back doors really are. If they’re showing signs of wear and tear or they’re several years old, consider replacing the with heavy duty doors. The same should apply to your garage door. Ensure the locks on each door are also secure and working properly. If necessary, invest in new, secure locks. For additional advice and home security ideas, get in touch and our team of experts will be happy to help you.